Other information: Good with other cats. 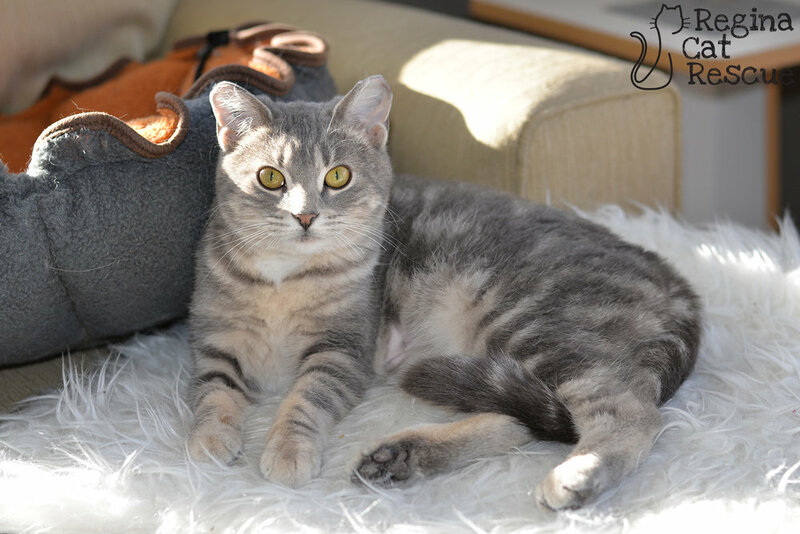 Meet Angelfish at Excalipurr Cat Cafe (2156 Albert Street, Regina). Angelfish was living outside in the deep cold of an extreme Saskatchewan winter — and winter took its toll on this sweet girl. She lost her ear tips to frostbite before her rescuer was able to save her. 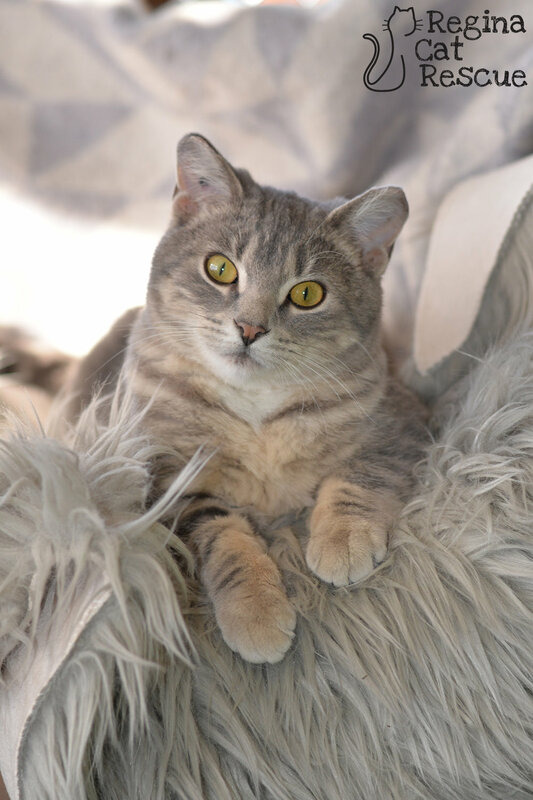 Once safe, warm and sound in a foster home, Angelfish proved to be a loving and cuddly girl who never wants to be living outside again. Angelfish loves to be near people and often follows her foster mom from room to room looking for chance to sneak in a quick pet or snuggle. After a couple of days getting to know the resident cats in her foster home, Anglefish enjoys spending time with them and snuggles up with one in particular. Angelfish would do well in a home with lots of love to share to satisfy her need to attention and affection! 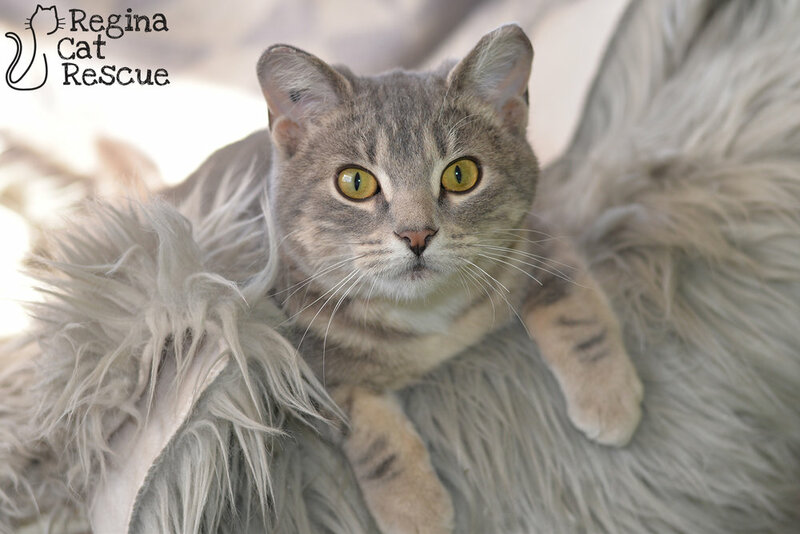 If you are interested in Angelfish, click here to view our adoption contract and click here to complete an adoption application or email the RCR Adoption Coordinator at adoptions@reginacatrescue.com for more info.